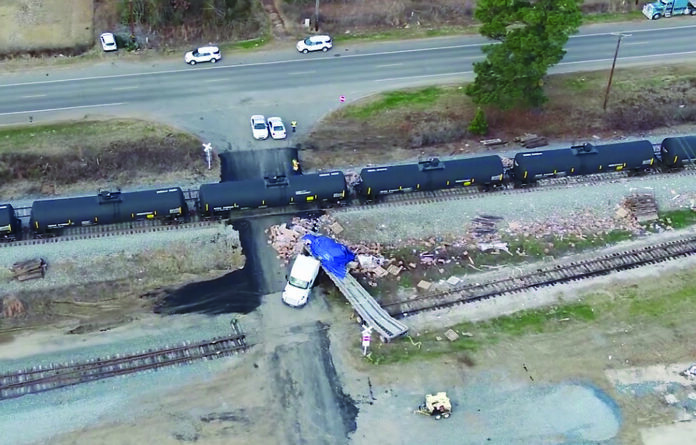 Caddo Sheriff Steve Prator provided this aerial image of the collision of a semi-truck and a KCS train on Hwy 1 just north of Hwy 2 in Caddo Parish Tuesday, Jan. 2. No injuries were reported. Prater advises motorists to always look both directions when crossing the railroad tracks.